The lodge is located Anaconda Beach in Ahuano, Tena, to 10 minutes of Jumandy Airport. The installations offer services of restaurant, long yard, swimming pool, games room, and parking. The lodge is located in Tena, to 1 Km of the downtown. 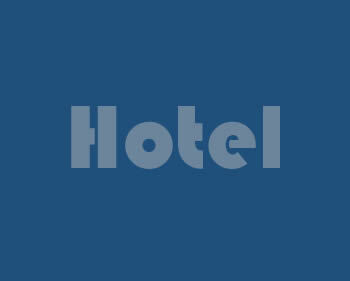 This place has many services as: restaurant, bar, minibar swimming pool, free parking and comfortable rooms. This place is located in Tena, this family hotel is 2.2 miles (3.6 km) from Jumandy Monument, and within 12 miles (20 km) of Butterfly Farm and Jondachi River. Jumandy Caves and Sanctuary of the Virgin of Quinche are also within 12 miles (20 km). The installations that it offers are: restaurant, fitness room, games room, and comfortable room. This hotel is located in Juan Leon Mera Street, in Tena. The services that it offers are: restaurant, swimming pool, Jacuzzi, business rom and free parking. This place is located in Juan Montalvo y Rocafuerte Street, in Tena. The installations have many services as: bar, minibar, swimming pool, comfortable rooms and private parking. This place is located in Augusto Rueda and 12 de Febrero Avenue, to 172 Km of Mariscal Sucre airport and 10 minutes of Archidona city. The hostal offers many services as: breakfast, event room, internet, comfortable rooms and private parking. This place is located in via las Antenas, to 1 Km to Vista Hermosa, and 50Km of Jumandy airport. The services that it offers are: solarium, bar, touristic information, Wi-Fi and comfortable rooms where you can enjoy of biodiversity of the place. This place is located in Lata, Tena, it is a central place between Quito and Baños. The lodge offers many activities in the community such as: see the beautiful biodiversity, also it has many services as: swimming pool, solarium, Jacuzzi, bar, restaurant, infantile games, and comfortable installations. This place is located in Tena, Via Canoayacu, to 100 meters of La Soga beach and to 30 Km of Mayor Galo Torres airport. The installations that it offers are: swimming pool, game room, library, restaurant, bar and internet also parking private. This place is located in Chontayacu, in Tena. The installations that it offers are: restaurant, touristic information and free parking.